A Will is a vital component of every Estate Plan. Although it has some limitations, one of it’s functions has not been replaced by any other document. Perhaps its greatest value is as document that catches assets that were unknown or not otherwise provided for in a Trust or Beneficiary Designation. For example, it is not unusual to learn that some who has passed was an heir to an oil and gas interest that nobody knew about. Executor: It can name an Executor to be the person in charge. This person is overseen by the probate court and is responsible for collecting your assets, paying creditors and distributing property. Waive Bond: It can waive the general requirement that the Executor obtain a bond. Distribution Choices: It can distribute property according to your desires. For example, it can leave property to children in unequal shares. It can also disinherit an heir. However, it cannot disinherit a spouse unless there is a prenuptial agreement in place. Guardian Nomination: It can nominate guardians for minor children or dependents. Create or Trust Pour over: A Will can create a Trust to provide for heirs. However, a better solution is have a preexisting Trust and have the Will pour any unaccounted for assets into the Trust. Disinherit: Children and others can be disinherited or given unequal shares. Spouses cannot be disinherited unless a prenuptial agreement is in place. Avoid Intestacy: You can write your own plan instead of the government’s intestacy scheme. What are a Will’s limitations? Not Effective Until Death: A Will is a document that only becomes effective upon the death of the Testator (the person who made the Will). It is not a substitute for a Power of Attorney. Probate Required: In all but few limited situations a Will must be admitted to probate by a judge in order for its terms to be carried out. Beneficiary Designations: A Will does not change beneficiary designations. IRAs, Insurance Policies, and Bank Accounts often have beneficiaries or payable on death designations. The companies holding those assets will transfer the property according to beneficiary designations without regard to what a Will says. How is a Will Created? Holographic Will: A will that is entirely written in the Testator’s own handwriting, signed, dated and with testamentary intent. These are often poorly drafted and fail to meet requirements to be valid. They are often contested. 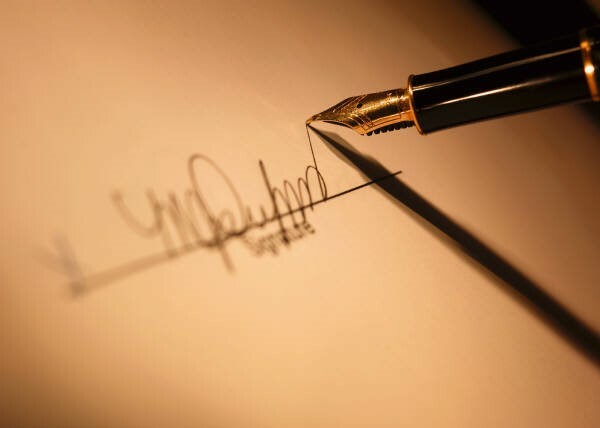 Standard Will with Witnesses: A typewritten or per-printed Wills require formalities of the Testator requesting two unrelated persons to witness his or her signing of the Will. These unrelated persons must also be adults and not named as a beneficiary under the Will. Unless certain formalities are followed the witnesses must testify regarding the execution at the time it is probated. Self-Proving Will: A self-proving Will is executed with the same formalities as a standard Will but requires additional acknowledgements executed before a notary. Oral Wills: Are invalid. It does not matter how many times someone might have expressed their intention regarding how or to whom property is to be distributed; a person without a written Will or Trust is considered intestate. In Oklahoma, the only narrow exception is an impoverished soldier’s dying utterance or a nuncupative Will. See below.